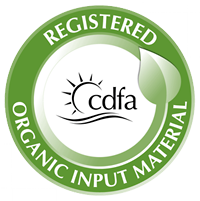 Unlike many other companies who claim their products are “organic,” ours truly are organic and are certified Organic OIM by California’s Organic Input Material (OIM) Program, the highest standard. Already, the feedback we’ve received from growers on our beta team is outstanding. We believe our products will outperform any other organic line in the market, whether they’re truly organic or just using the word ‘organic’ as a marketing tactic. 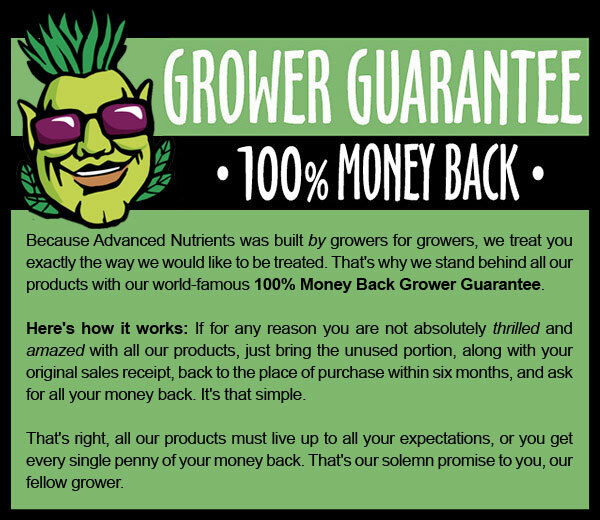 As always, we stand by our products with our world famous Grower Guarantee. In short, you either love it, or it’s free. Keep reading to discover more about each of these organic solutions and how they can help you unlock the door to an organic garden full of the high-value plants you deserve and desire. If you’re an organic grower looking for a maximum-strength bud bulking, bloom-boosting supplement, look no further. This ultra-premium, next generation Organic OIM supplement is the perfect solution to maximize your bloom phase and give you bigger, more consistent yields time after time. Get richer harvests with bigger, denser, higher-quality flowers and fruits. 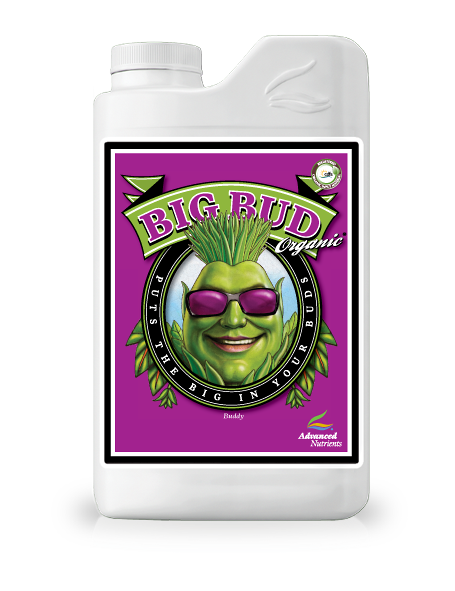 In short, you get all the power of the world-famous and cup-winning Big Bud®now 100% organic. 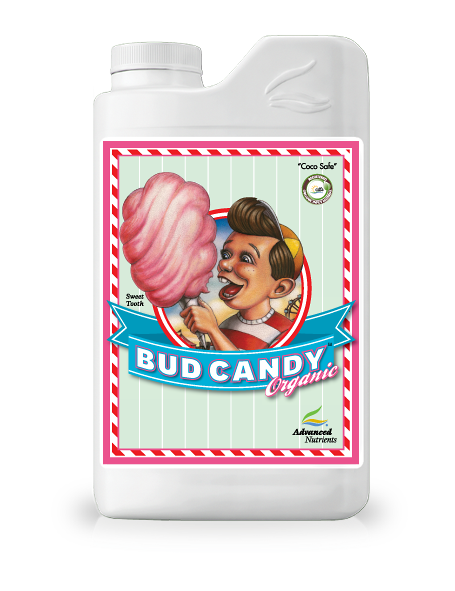 When you give your crops the simple and complex carbohydrates in Bud Candy Organic™ OIM, you’re giving them an instantly accessible source of energy that they can channel into floral growth. The rest is stored away so it can be tapped for future ripening. Plus, you’ll magnify the reproductive rate of beneficial microbes in the root zone by feeding them extra nourishment. This leads directly to greater root mass. Finally, it supplies bloom-enhancing plant extracts that increase essential oils for higher potency, better aroma, richer flavor, and sharper pigments for deeper, more pleasing colors. 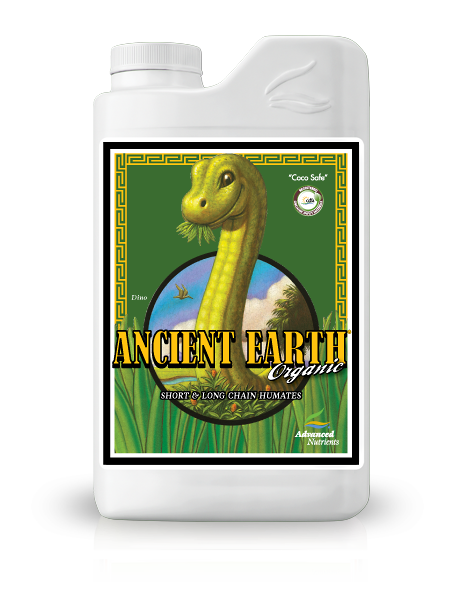 If your plants could talk, they’d tell you to feed them Mother Earth Super Tea Organic OIM. They love the infusion of wholesome, organic ingredients in this ultra-purified tea blend. That’s why Mother Earth Super Tea Organic OIM has long been a favorite of super croppers who want the maximum growth and yield benefits of hydroponics, combined with the natural goodness of compost derivatives. To get the best of Mother Nature in your grow room, try Mother Earth Super Tea Organic OIM today! Strengthen your crops’ roots and help them avoid disease with an organic root renewal system: Sensizym Organic OIM’s three-enzyme blend. This proprietary enzyme formula breaks down dead root material — which can harbor harmful pathogens — and converts it into a nutritious food source that supports healthy plant growth and maximum bloom production. 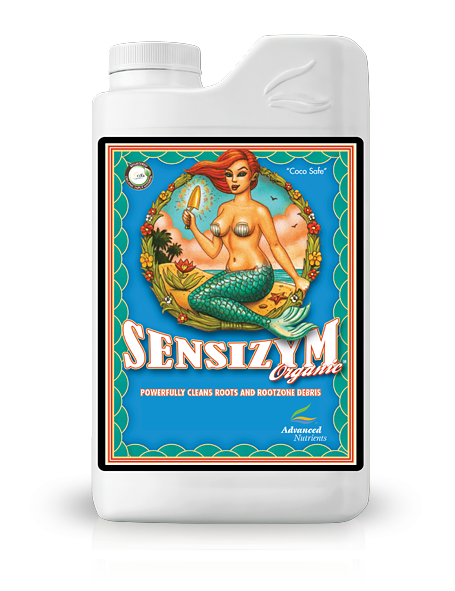 Sensizym Organic OIM is approved for organic crop production, and is so powerful it can even recondition used growing media like coco coir — so you get maximum mileage out of your investments. Sit back and watch those strong, vibrant roots push serious canopy growth and top-shelf flowers — try Sensizym Organic OIM today with our risk-free, 100% money-back Grower Guarantee! It used to be that the word “organic” was easy to understand. If it was a natural product, people called it organic. As consumer demand has increased for more natural products, the organic industry has grown by leaps and bounds – especially the interest in organic plant nutrients — and today there are many companies claiming to be organic. Along with these claims, there are numerous programs and certifications that all appear to be somewhat similar, if not interchangeable. This has led to confusion for growers and consumers alike. What Does “Organic Nutrients” Really Mean? Today, you may hear the word “organic” referring to many different products that relate to the gardening industry. In the context of our growing community, if you’re wanting to run an organic garden and grow your own organic crops, then we’re primarily referring to the “input” materials you use, such as fertilizers, pesticides, and supplements. Yes, there are organic labeling standards that a nutrients company must adhere to in order to call its products “organic”. These standards are different, depending on which US state the nutrients are sold in, and that makes all the difference. The USDA stands for the United States Department of Agriculture, which is the federal agriculture authority. That means it’s the final authority on all things organic. The National Organic Program (NOP), part of the USDA’s Agricultural Marketing Service (AMS), has regulatory oversight responsibilities over the USDA Organic Standards and the accreditation of organic certifying agents. The NOP also has authority to take appropriate legal action to enforce the organic standards and thus protect the integrity of the USDA Organic Standards, from farm to market, around the USA. In other words, when you see food or other agricultural products “output” with the USDA-NOP organic seal, then it meets the USDA’s NOP Organic Standards. What Is The Organic Materials Review Institute (OMRI)? The Organic Materials Review Institute (OMRI) is a nonprofit that evaluates inputs to determine if they are suitable for use in organic crop production and gardening. OMRI Listed® products can use language such as “for organic use” or “for organic production” to communicate compliance with organic rules. It’s important to remember that OMRI is a third – party organization. That said, OMRI Listed products are allowed for use in certified organic operations under the USDA National Organic Program and it is typically a respected label in the organic industry. As you may know, California dominates the organic market in both farms and total organic sales. In fact, a USDA 2014 census report on organic farming revealed California has 2,805 organic farms with more than 687,000 acres devoted to organic crops, making it the No. 1 state for organic farming. 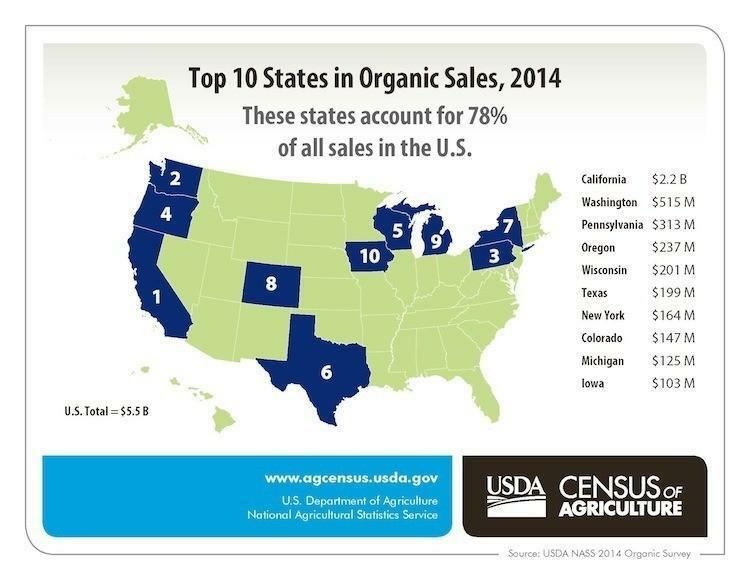 California alone accounted for 41% of all organic sales in 2014. That’s why it was so important to protect the state and maintain the highest standards. A few years ago, some very successful California fertilizer companies claimed they were producing organic fertilizers. It turns out they were spiking their “organic” nutrients with disallowed substances like synthetic nitrogen. They had been running this scheme for years, tricking farmers and watchdogs alike. In response to these problems, and as the clear leader in the organic industry, California decided to take matters into its own hands. The state of California established its own organic certification program now known as the Organic Input Material (OIM) program. In short, instead of relying on third-party certifiers like the nonprofit Organic Materials Review Institute (OMRI), California developed its own certification program to determine which products sold in CA meet the standards of the USDA National Organic Program (NOP). All organic products sold in the state of California must be certified OIM by the California Department of Food and Agriculture (CDFA). The CDFA’s OIM program is taking it upon itself to determine that products meet the USDA-NOP standard instead of relying on other third-party certifying agencie’s like OMRI to do this. If you’re going to sell agriculture products in the state of California, and you want to have the organic certified label, then you need to be certified by the OIM Program. California’s OIM program is largely considered the strictest organic certification there is. And that means all growers—no matter where you live in the world—are guaranteed a better, cleaner, purer nutrient with the OIM line. That’s because for every product that gets the OIM label, Advanced Nutrients has to go through a multi-part, painstaking process for certification. Our on-staff PhDs and compliance experts list each and every ingredient used in our proprietary formulations. We provide detailed information on the purpose of that ingredient and why we included it (including our proprietary data and irrefutable proof of efficacy). We list the manufacturers of each and every ingredient (no small task when many of our products contain ingredients sourced from multiple locations). Each of our manufacturing partners submit the exact details directly to the state of California, protecting their trade secrets for the entire manufacturing process for that one ingredient. We submit — in painstaking detail — every step of our manufacturing methods from start to finish, detailing how every ingredient enters our possession, where it’s stored, and how it’s used in our unique formulations. Of course we have to provide documentation and proof of each part of our manufacturing process. This is just the tip of the iceberg, as they say. Once a company’s product receives OIM certification, a host of regulatory compliance requirements follows the product for the life of the manufacturing process and the product’s life on the shelves. As a company, it’s easy to see why Advanced Nutrients embraces California’s OIM program. California is the No. 1 state in the entire country for organic farming and only allows products registered with the OIM Program to produce organic crops. And because all other states also recognize the OIM seal for organic products, we chose to embrace the program so we could sell products in all states. The bottom line is that being certified by California’s OIM Program is a big deal for businesses, consumers, and the environment. Because California has so much at stake, it means you can rest assured that when we say “organic,” we mean it and we can prove it. So, why care about California’s standards, especially if you live in another state or even in another country? When you use Advanced Nutrients’ OIM line of products, you can be sure you’re benefitting from the absolute highest standards in organic certification. 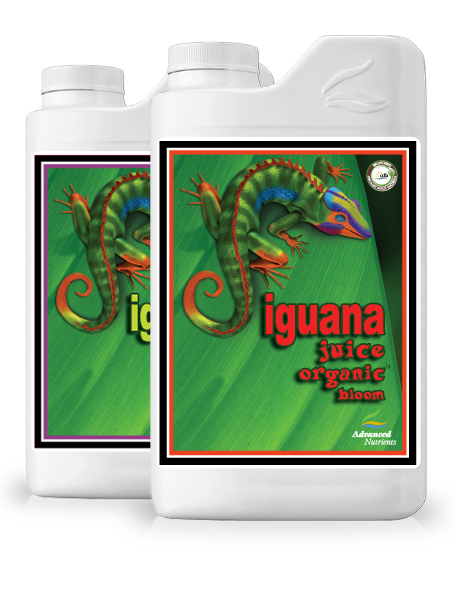 Growers can rest assured they’re feeding clean, pure, potent, organic growing nutrients to their crops – their gardens won’t have traces of synthetics – and customers can rest assured their crops are truly 100% organic. As the No. 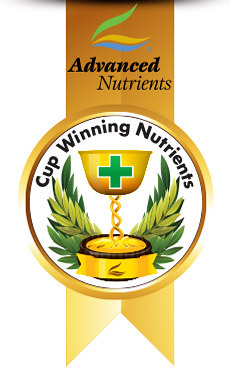 1 brand in nutrients, we know that you expect nothing less from us and we’re proud to deliver. For more on OIM products, read this: What Every Grower Should Know About OIM Hydroponic Nutrients.